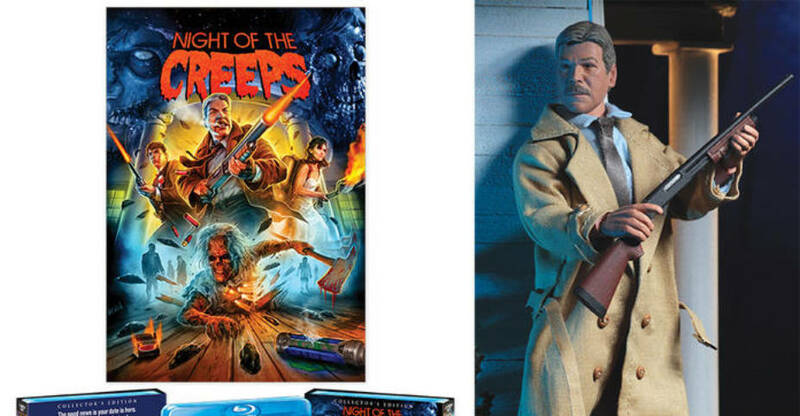 Scream Factory has released full details and images for their upcoming Night of the Creeps Blu-Ray with an exclusive Detective Ray Cameron (Tom Atkins) 8″ Scale Clothed Figure. The figure is being produced by NECA Toys in the style of their retro clothed figures. The figure is included with the Deluxe Edition of the film, which will be limited to just 3,000 pieces. 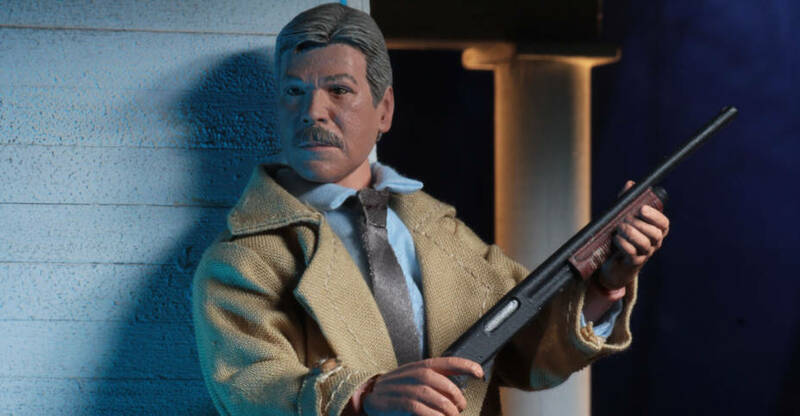 The figure will include a removable trench coat, a shotgun, and a can of beer. The Deluxe Edition is priced at $69.99, and will be released on May 28th. Check out photos and full details on the blue-ray set after the jump.